VALENTIA (c by Fastnet Rock) 2 wins. See below. 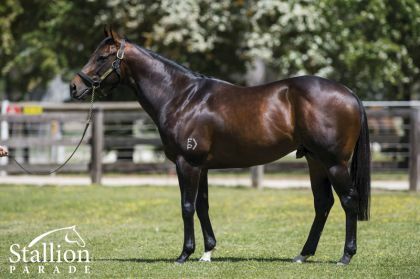 WAIT FOR NO ONE (g Lonhro) Winner at 2, A$191,600, MRC Debutant S., L, 2d VRC Members Pavilion H., 3d VRC Maribyrnong P., Gr.3, MRC Blue Diamond Prelude (c&g), Gr.3, Sheamus Mills Bloodstock H.
Backstab - Beauty Master (H.K.). 4 wins-2 at 2-to 1200m, A$102,275, HK$2,932,700, ATC TAB Place Multi 2YO P., HKJC Pok Oi Cup, Harcourt H., 2d ATC TAB Place Multi 2YO H., HKJC Tailorbird H., World Hakka Capital H., Wo Tik H., Beijing Clubhouse Anniversary H., 3d ATC William Hill Supporting Sporting Chance 2YO H., HKJC Sai Kung H., Golden Jubilee Challenge Cup. Final Choice. 2 wins at 1000m, A$76,500, in 2018-19, VRC Cup Week H., 2d MVRC LUCRF Super Handicap H.
Strictly Legit. 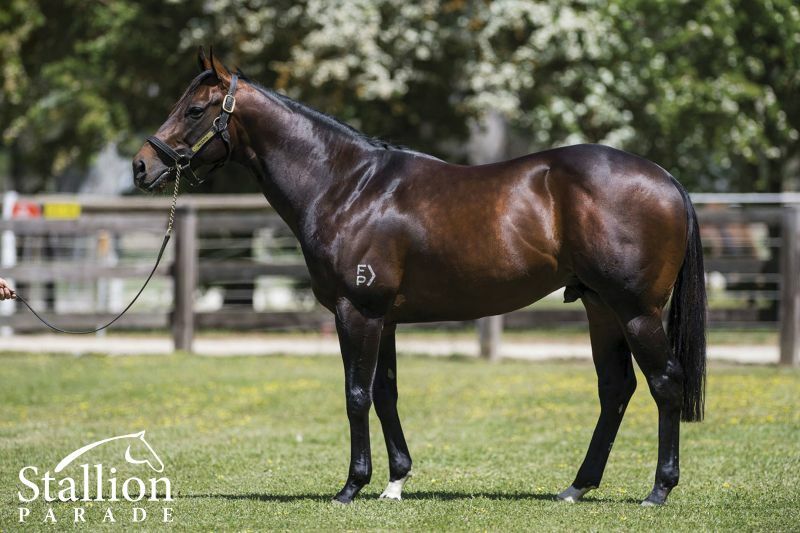 Winner at 1000m, 3d MRC Ike Hollingworth H.
Giant's Footprint (g by Giant's Causeway (USA)) 3 wins at 1400m, 1600m, R223,675, 2d Vaal Racing Express Fact File H.
Miss Ponderosa (f by High Chaparral (Ire)) Winner at 1200m in 2017-18, 2d WATC James Boag's Premium P., 3d WATC Lucky Street at Darling View P., Western Racepix P.
Diva Forever (f by Commands) Placed at 2 & 3 in Aust. 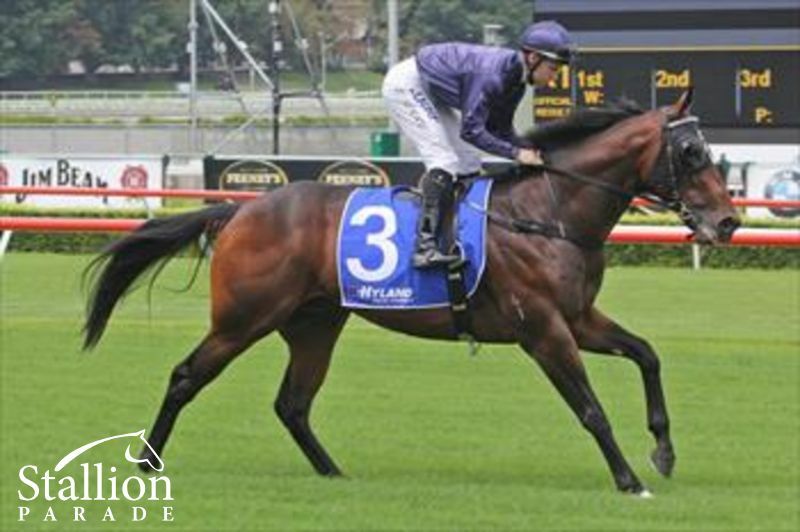 SUPER ELEGANT (g Mister C) 19 wins-3 at 2-to 1400m, A$2,036,550, SAJC Goodwood H., Gr.1, BTC Doomben Ten Thousand S., Gr.1, MRC JJ Liston S., Gr.2, MVRC Norman Carlyon S., Gr.2, Qld Tatt's RC WJ Healy S., Gr.3, MRC Bletchingly S., Gr.3, Rubiton S., Gr.3-3 times, SAJC DC McKay S., Gr.3, National S., Gr.3, RN Irwin S., Gr.3, Spring S., Gr.3, MRC Sir John Monash S., L-twice, WJ Adams S., L, MVRC Toy Factory H., Great Western H., 2d MRC Futurity S., Gr.1, MVRC Australia S., Gr.1, MRC Memsie S., Gr.2, MVRC Norman Carlyon S., Gr.2, MRC Bletchingly S., Gr.3, SAJC DC McKay S., Gr.3, Smoke-Free SA S., Gr.3, MRC Sir John Monash S., L, 3d VATC Schillaci S., Gr.2, MRC JJ Liston S., Gr.2, MVRC Norman Carlyon S., Gr.2, Schweppes S., Gr.2, MRC Sir John Monash S., L.
ELEGANCY (c Mister C) 12 wins to 1300m, A$376,065, SAJC Angas Brut Classic S., Gr.2, VATC Sandown Sprint H., Resolute H., Message Bank H., Silenus H., Rawdon H., Honda Legend H., Seniors Citizens Week Cup, MVRC Keith Hillier H., STC Rothmans H., VATC CD O'Halloran H., 2d VRC Four 'n Twenty S., L, VATC Autumn Sprint H., L, Holt Welter H., Australia Remembers H., Anniversary H., MVRC Towpax Products H., STC William Inglis H., VRC Cadbury H., MVRC Moonee Valley Functions & Events H., 3d AJC Hall Mark S., L, VATC Christmas H., L, Sandown Sprint H., 4th VATC Rubiton S., Gr.3. 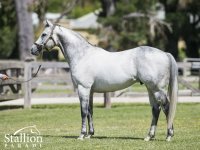 MISTER ELEGANT (c Mister C) 14 wins-1 at 2-from 1000m to 1600m, A$319,150, VATC Victoria H., Gr.3, Christmas H., L, Barton H., L, Mornington RC RM Ansett S.H., L, VRC Lawn H., VATC Samson H., WATC Merino SF Welter H., MVRC Albion H., 2d VATC Merson Cooper S., Gr.3, VRC Straight Six H., L, Gallantic H., L, WATC Colonel Reeves S., L, Birthday S., L, MVRC Childrens Palace H., WATC O'Grady Lefroy Sprint H., 3d VRC Brian Courtney H., L, VATC Christmas H., L, WATC Laniera Welter H., 4th VRC Chester Manifold S., L, VATC Vain Quality H., L.
MISS FANTABULOUS (f Encosta de Lago) 4 wins at 1100m, 1400m, A$315,650, MRC Tristarc S., Gr.2, SAJC Redelva S., L, VRC Devil Wears Prada H., MRC Redoute's Choice P., 2d VRC Zouki Enterprise 2YO P., 3d AJC PJ Bell H., L, MRC Winning Edge Presentations Cup, 4th VRC Carbine Club S., Gr.3, AJC James HB Carr S., L, MRC JRA S., L.
Won ATC Skyline S., Gr 2 (1200m), Ritz Cinema 2YO H. (1200m), 3rd ATC Stan Fox S., Gr 2, Up & Coming S., Gr 3, TAB Iphone App 2YO P.
A son of champion sire FASTNET ROCK, he was a terrific winner of the Gr.2 Skyline Stakes (1200m) as a two-year-old, a race previously won by the likes of SNITZEL, CHOISIR and another son of Fastnet Rock, the young boom sire HINCHINBROOK. An outstandingly powerful looking individual, VALENTIA was a Magic Millions Gold Coast Sale topper when fetching $1.35 million as a yearling in 2013, the highest price achieved at the sale over the previous five years. 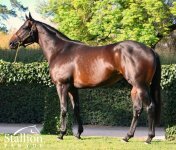 A dual winner at two and is one of only six Group winning two-year-old colts by FASTNET ROCK. As a three-year-old VALENTIA placed 3rd in the Gr.3 Up And Coming Stakes (1300m) when he was beaten less than half a length by Scissor Kick despite striking interference and conceding 4.5kgs. In the Gr.2 Stan Fox Stakes (1400m) he also placed 3rd behind Shooting to Win, a horse he had previously beaten in the Up And Coming Stakes. Coming from a high-class speed family, VALENTIA is out of Smart Company, a winning full-sister to dual Group One winning sprinter SUPER ELEGANT (by Mister C).